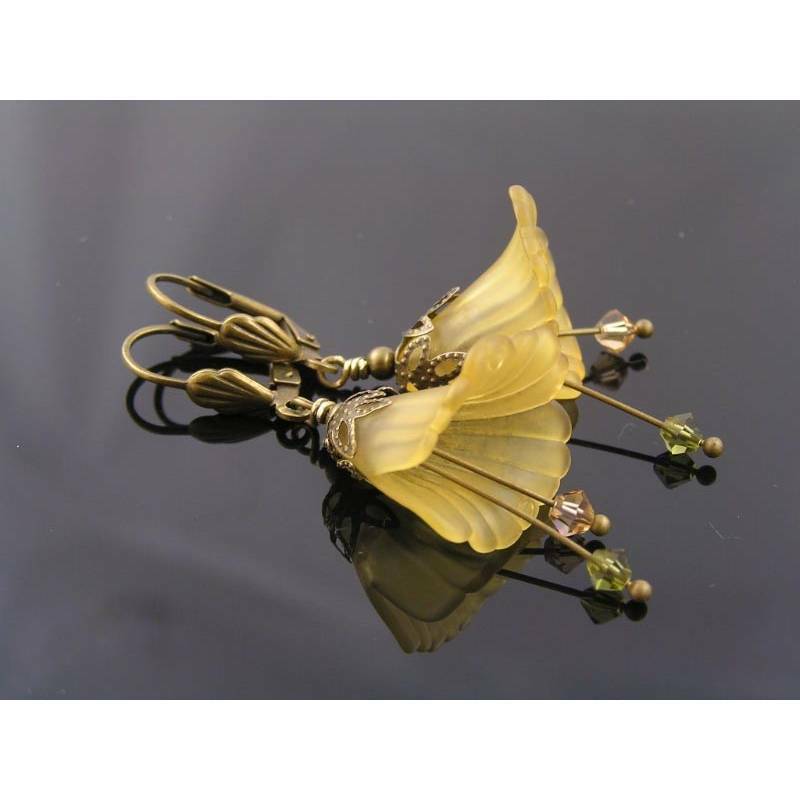 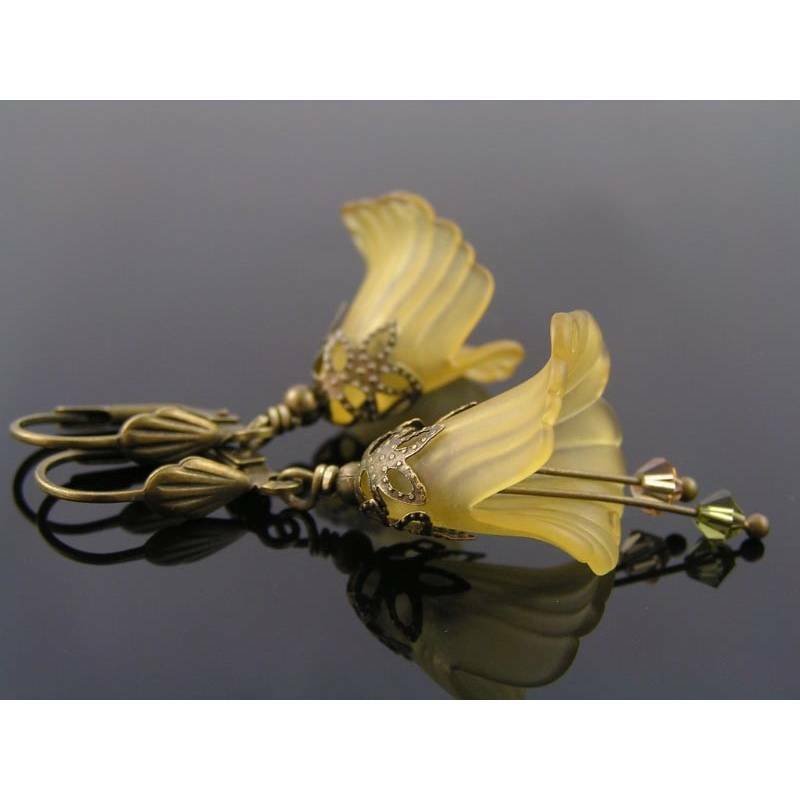 I have used hand-dyed Lucite flowers and topped them with filigree leaf bead caps. 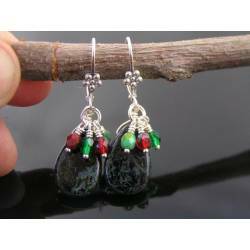 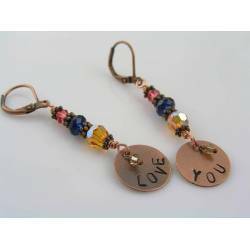 The earrings also include little dangles with Swarovski crystals. 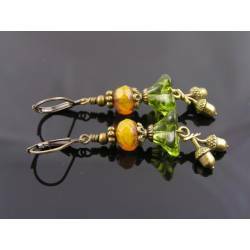 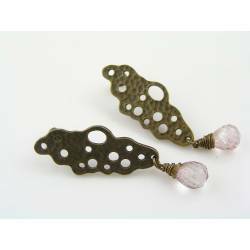 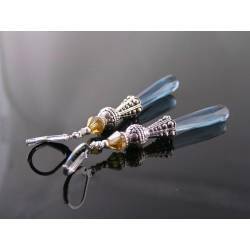 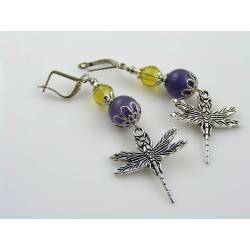 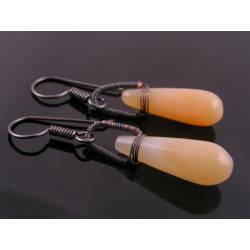 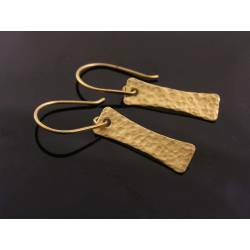 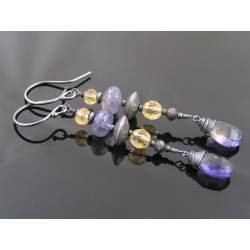 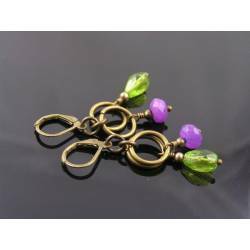 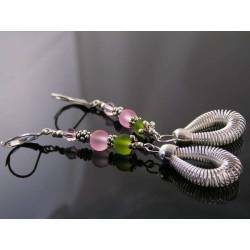 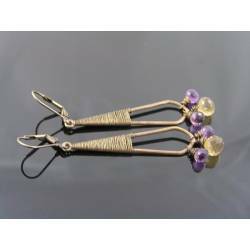 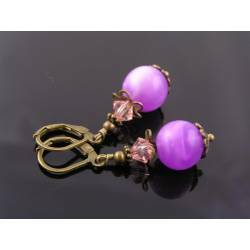 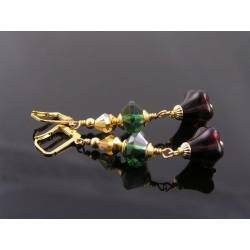 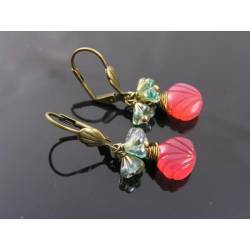 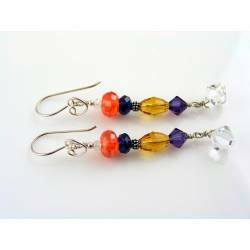 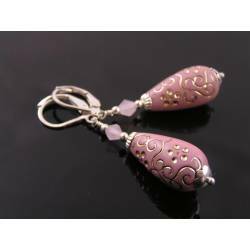 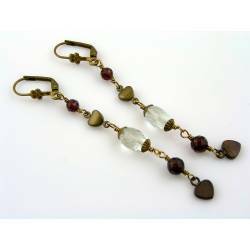 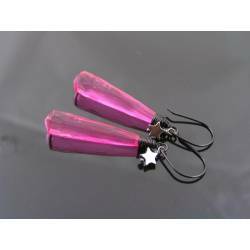 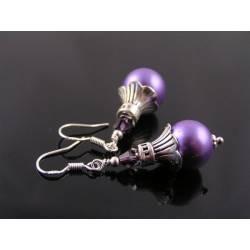 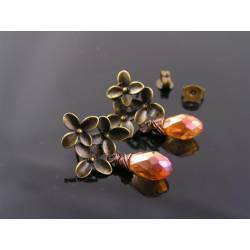 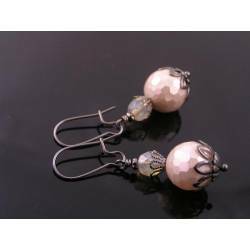 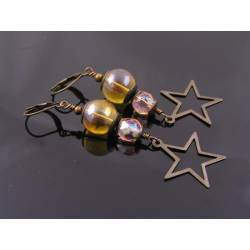 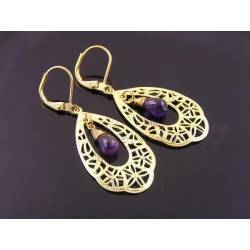 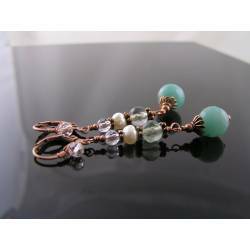 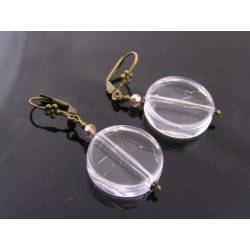 Together with the secure lever back ear wires, the earrings measure 5.5cm.